GetBetterJob accumulates comprehensive career data from thousands of company sites, resources, and job boards from all over the web, providing sophisticated algorithms to create a convenient search experience. The result is unmatched – now there is no need to browse through hundreds of irrelevant results, trying to find the exactly what you need. 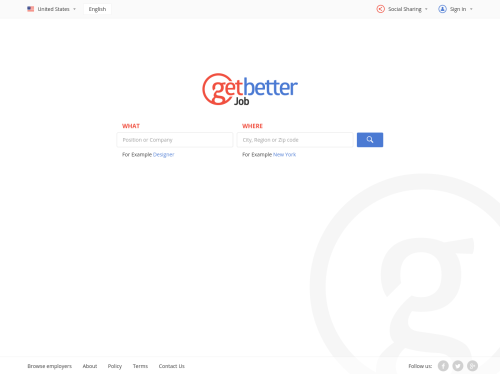 With GetBetter’s detailed search options you will be able to find your dream job in no time.